Personal injury attorneys specialize in cases involving serious physical injury. Perhaps the most serious injury happening to anyone as the result of an accident is damage to the brain. Brain injuries generally occur due to automobile, truck, motorcycle and industrial accidents. Individuals suffering traumatic brain injuries due to the negligence of another individual need to immediately obtain the services of a personal injury lawyer, the initial step in securing monetary compensation to pay medical bills and future expenses related to the injury. Less common are brain injuries resulting from medical negligence or malpractice. For example, if a physician or hospital fails to implement reasonable care when treating brain strokes or medical emergencies related to the central nervous system, you may need to consult one of the personal injury lawyers at Goldberg and Rosen. Clients will receive advice regarding the legitimacy of your case and whether it constitutes an actual case that can be successfully fought in court. Attorneys qualified to act in the best interest of brain injury victims are specifically acquainted with the Florida statutes of limitations, document preparation and determining a viable compensatory amount surrounding serious personal injury cases. In the state of Florida, personal injury damages are monetary awards meant to “make a plaintiff whole”. Although it may seem superfluous to try and put a dollar amount on something as potentially debilitating as a traumatic brain injury, the intent of the court is to try to put the victim into the physical, emotional and financial position he or she held prior to the injury. Punitive damages (sometimes not applicable in personal injury cases, since they are meant to “make a plaintiff whole” but are intended to punish a defendant who is found guilty of an egregiously negligent action and deter others from repeating such an act). Currently, Florida does not put a “cap” on damages. Consequently, juries may award victims compensation amounts that exceed the amount that is being requested by the victim’s attorney. When personal injury victims file a claim, the attorney for the defendant cannot provide evidence that shows the victim’s insurance company is making payment on medical bills for the purpose of reducing damage amounts that may be awarded to the victim. Known as the collateral source (or personal health plan) rule, this precept is part of Florida’s personal injury law and allows personal injury victims the ability to receive what he or she deserves to receive regardless of any medical expenses that have already been paid for by a personal health care or insurance plan. Defense attorneys are not allowed to present juries with this type of evidence due to the collateral source rule. Any evidence concerning insurance payments that have been made by the plaintiff’s insurance company is inadmissable in a Florida court. Traumatic brain injuries generally occur when the skull forcefully strikes a solid object and damages a portion of the brain. Traumatic brain injuries, or TBI’s, can be closed brain injuries (subdural hematomas) or penetrating head injuries, such as when the skull suffers breaks or an object pierces the skull and enters the brain. Although most serious brain injuries present distinct symptoms that are immediately apparent, this type of injury can also manifest itself in a variety of different symptoms that eventually emerge days or sometimes weeks after the accident. Delayed symptomology can be caused by changes in cerebral blood flow and pressure from swelling that intensifies inside the skull. Recovering from a traumatic brain injury can take a few weeks, a number of years or, in the worst case scenario, the patient may never fully recover. 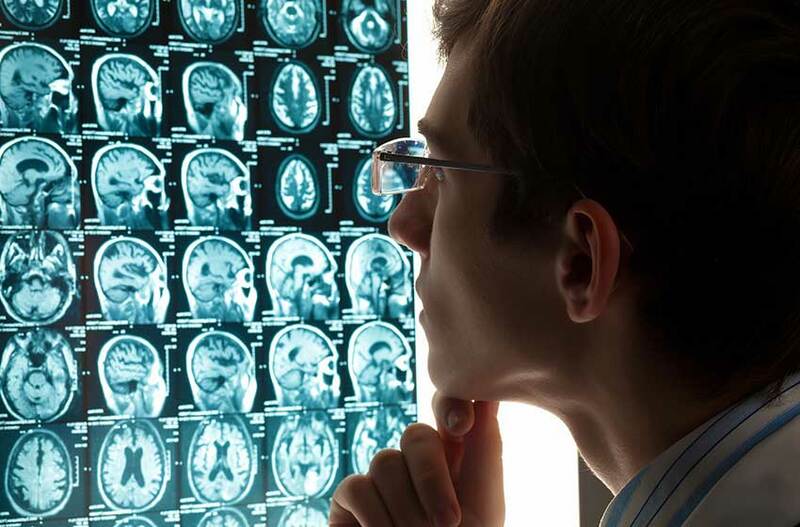 To ensure clients receive the maximum compensation award possible, personal injury lawyers will employ the expertise of medical experts to testify on behalf of victims, in addition to evidence such as computed tomography scans and MRI’s to prove the extent of the brain injury. Depending on the services of a Goldberg and Rosen personal injury attorney relieves the victim’s family of having to do hours of complicated research regarding complicated terminology constituting all of the court and insurance documents needed to initiate a brain injury case. Some of these terms include retrograde amnesia, anterograde amnesia, brain contusions, focal injury, diffuse injury and contrecoup injury, all of which refer to specific conditions and manifestations of brain injuries. Brain injury victims should never attempt to file personal injury cases without the assistance of expert attorneys. Goldberg and Rosen can provide clients suffering from traumatic brain injuries with an experienced team of personal injury attorneys who will work diligently to settle the case and obtain the maximum compensation available. Clients severely injured by negligence or medical malpractice will be represented by the most experienced and conscientious personal injury attorneys available in the Miami-Dade area.